Hi, We are first time buyers currently renting in Kent but looking to buy our first home. I was wondering, what sort of things I might need to think about or consider to get a mortgage? Hi Roman, Applying for a mortgage can be a daunting especially when you want to buy a property for the first time. First time buyers can often be thrown by the need to get on the property ladder as the average mortgage now taken stretches to an incredible 35 years. However, there are a few things you can do to help make the application process slightly easier, even for a first time buyer. It is always important to be organised when applying for mortgages. Independent mortgage advisers will always offer a quick and handy solution for your application. Organisation can help you locate all your important documentation, such as payslips or overall proof of income to allow it all to work in your favour. It is also important to utilise documents such as bank statements, even though they may not ask for it, it is important to keep these at hands for analysis, including where money is spent and to help your mortgage application. Your family could potentially have credit scores that are not checked into any systems, which could rank your credit score as a co-score. This could stop you from buying a property, because if it is poor it will damage your chances a little further. This ranges from bills that are joint in a household, or bills that are classed under the same name. If your dream is to buy and then rent your property (or become a landlord), your credit score is crucial. One in 10 first time buyers find themselves struggling because of their poor credit history, making them less likely to be trusted by banks, or mortgage advisers. Ensure your credit rating is above the threshold, by using credit cards to buy things and place importance on paying it back by the end of the month, which will finally build your credit rating. Have You Registered For The Electoral Roll? Registering for electoral rolls with show mortgage advisers that own a secure lifestyle, which includes a fixed address, as well as a full time job. It not only makes it easier for you to show a stable and secure lifestyle, but you will find it difficult to get credit without it. Have you Checked and Double Checked your Mortgage Application? 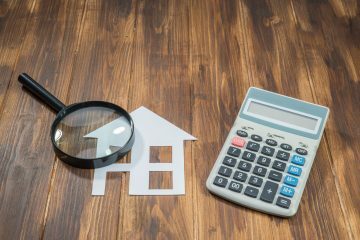 It may seem incredibly simple, but double checking your mortgage application will simply ensure there are no mistakes that could damage your application for a mortgage. It can be anything from a spelling mistake to a wrong reading on your wages, so whatever it may be everything needs to be thoroughly checked!